When I first met Mrs. Welch in 1960, she was fifty-five years of age, and I was twenty-one. Until she died forty years later, she was my teacher. Nevertheless, she remains a mystery to me. I cannot say that I knew her. If it is true that we cannot see above the level of our own being, then I could see only a fraction of who she really was. In preparing this article, I reviewed videotapes and notes of many meetings with her. It is clear now that we understood only part of what she said then. We were helped, and felt grateful, but we took in only what our little cups could holdand they were filled to overflowing. But it was often only much later, when we had more experience, that we could understand what she was giving us. I am still learning from her. We need to know our subjectivity if we want to become available to another kind of experience. My observation is one thing, but to begin to recognize myself as a cosmic unit is more important. Usually there is a block. My relationship to others is cut. The primary question is What do I serve? I need to be hungry for a right connection with what is highest in me and what is highest in the Universe; so I have to see what the connections are. My inner sensations are a hint. How are we to realize that work is not for what is most delightful, but for being. The change is not a change in dream states, but in beinga change in the harmonious balance which will affect the whole being. I am dual, and it is true that sometimes I am one, and sometimes another. One part wishes to work and the other does not, but sometimes there is a sharp recognition that these two parts operate with their backs to one another. How to look and make an effort of presence to the existence of both? If I function in the ordinary way, at the same rate of vibration, nothing will change. As long as my body is agitated I cannot experience the quiet that makes me aware of something deeper in myself. That is, I cannot receive higher impressions. It seemed during periods of intensive work that she held us all, individually and collectively, in her attention. It was as if we were all imbued with a finer substance and began to vibrate at a quicker tempo. In those conditions, all aspects of our human nature were magnified. What she said seemed to be very important, and it was not only in her words, but also in her tone of voice. She spoke with authority and compassion, and what she said had the ring of truth. All of her outward manifestations seemed to emanate from a central core of beingof presence. Under the instruction of someone who knows, we try to remember ourselves by learning how to collect attention. We try to still any outer movements, we quiet the body. We begin to study where our attention has been caught in order to free itfree it from where it is caught in physical tension, in anxiety, in the constant flow of random thoughts. We try to draw together this fragmented substance we need for our work. Our work is in the direction of self-rememberingremembering the self as a whole. What I am going toward is the central feeling of myself: I am. I exist. Without attention I do not exist. Always my attention is takenby anything, by everything. It is taken. But it can be free. Collect attention, work for attention, learn to place your attention. When I make a serious effort to place my attention somewhere, relaxation begins, energies begin to take their correct place. The way begins to be opened for something other to appear. Although it is possible to record many of the things she said, that is very different from her direct, oral communication. Dr. William J. Welch, Mrs. Welchs husband, once said that if books alone could convey understanding, all the bookcases would be enlightened! It is necessary to be in touch with the preoccupations that prevent one from seeing. When I look at you, what is it that stands in the way of my seeing you? I am not there, I am preoccupied. While you are talking, Im thinking of my answersall that materialand Im not listening, and Im not aware that my attention is everywhere but on you. As a beginning, its an exercise in bringing my attention on youreally on youright now. If I have a question about this, as I do now, and if you have a question, and if I stay with it, and you stay with it, we have an exchange that is almost permanent. That experience is almost eternal. If I can attend to you, and you can attend to me, something takes place that is joyful, and new, and nourishing, and alive. Until Dr. Welch retired, we did not see him often in Toronto. It was Mrs. Welch who came almost every month from 1955 through to the late 1980s. We were her group. It was as if she planted seeds here and nurtured them for a long time, hoping that something would grow and begin to have its own life. We all have moments of being awake, but we lose them quickly because we dont value them. Something takes place, but it is out of my control. Something does pierce this shell. How can I know my way to it? If you want to know what this piercing effort isit is my wish. There are moments when my wish can cut right through the protective armour and touch something real and authentic. Why are we not hereright now? It can happen in the twinkling of an eye. We are always looking in the wrong place for purpose, for meaning. We are heavy-laden with this big, blind automaton. Only in moments when our functioning is slowed down does the unengaged purpose appear. What is our life for? What in hell are we doing here? Most of us felt that Dr. Welch challenged us, and Mrs. Welch affirmed us, but they had both been through all the grindstones. Often it was Mrs. Welch who challenged. Yet there was from both of them an affirmation of what was best in us. Listen to the group. Practise listening. Listen to yourself, and suffer how you are. It is your work. When you begin to awaken, the first thing you will see is your sleep. As you begin to see your mechanicality, your reactions, they begin to have less power. Seeing is our work. But the people in the group also see my reactions, my faults, and this cannot be helpful to them. She then said, Mr. Gurdjieff never hid his faults. I continue to ponder this response. In order to be useful to anyone, I have to be. Otherwise I am just a reacting mechanism, a played instrument. Before you can be more, you must be what you are. Being is how I am, the relation of the different parts held together by my awareness. Completed man is in the image of God. We are incomplete. In us the centres are either mixed or confused, not blended. If we wish to go in the direction of being completely human, we must begin to see why we are not. nor do I know the life of my feelings, nor my intellect, and I know even less about something much higher that also exists in mealthough we have all had tastes of it. I am here to live not only in heaven, but also in my earthly part. Work first to see these two natures. The ego has strength. It has acted as a lookout for a long time, and has looked after me well. It is self-preservation personified, but self-preservation of the small self. Now the ego begins to interfere with the growth of the Self. If I try to control, I succeed only in repression. All my life I react. I must not try to suppress my reactions, not pretend they dont exist, not cover them with hypocrisy. I must know myself at that moment, and not run away. The first step is to pay attention to the reaction. When we see, something changes because of this light. We are all stronger than we think we are, but not stronger than we imagine we are. I pretend that I am strong, which isnt true, but the feeling that I cannot, is not true either. Where is my area of choice? It is in the effort of being more attentive, more interestedof giving an objective look at what is going on, while it is going on. This is what I wishit is a moment of awareness while I am experiencing. The experience is not separate, but it is difficult to talk about it in any other way. It is so simple. It is just being here. Just being. For a long time, I measure everything I see in myself against an image of what I think I should be. It is impossible to see from there. If I do see something, I immediately want to change it. I do not want to be like that, and so I do not stay with what I have seen. I must develop the courage to stay with that. Do I really wish to be free, or only to avoid glimpses of my slavery? Dr. Welch never hesitated to let the air out of our inflated expressions. A very serious and relatively senior member of our group said, All my life I have given to others! Dr. Welch said, You have never given anyone anything. Always others have taken from you. It was a piercing insight, and the person who had spoken immediately saw that it was true. No. Do not call me teacher. Mr. Gurdjieff was a teacher. We are all in the same boat. Those who have been working longer may have experienced more, and so may be able to act as a guide for those with less experience, but we are not teachers. A number of us who had been in the Work long enough to begin to take on minor leadership roles as team leaders were invited to the Gurdjieff Foundations country house in Armonk, New York. There was a large number of people there who had just recently entered the Work. In his introduction on the morning of the first day, Lord Pentland said, We have all come here because we are asleep, and wish to awaken. I remember thinking at the time that the head of the Work in New York should not be telling all these new people that he also is asleep! However, he was expressing the same idea that Mrs. Welch had brought to us. We are not interested in psychic phenomena, though many of us have experienced them. We are not interested merely in the experience of beautiful emotional fireworks. Our effort is in the direction of trying to be. Work on myself has to do with the relation of inner and outer. Sometimes one goes so deeply inside that one forgets the outer. My work is related to both. Our aim is not to dwell in Nirvana. It is to live and work in life. After I had been part of her group for a few years, I remember telling Mrs. Welch that I was no longer afraid of her. She said only the word, Oh, but her tone was such that I quickly reconsidered my remark! In the early years, she often took us to task. She said later that it was necessary to test people, before giving them responsibility. She encouraged us to question her, not to accept what she said without verifying for ourselves. After many years, she began to let us make our own mistakes, and trusted us to learn from them. There was never any sentimentality, but there was an undercurrent that we came to recognize, in part, as love. She sometimes said, Love never faileth. She used this word rarely, and we could sense that it was full of many levels of meaning that were far above what we usually meant whenever we used the word. She gave us the impression that love was the highest energy of allthat all of us, and all of the created world sprang from this source. She often encouraged us to work whole-heartedly, emphasizing the importance of compassion. Nevertheless, she did not disparage the mind, but rather encouraged us to give our best thought to the ideas of the Gurdjieff teaching. One of Gurdjieffs central ideas is being-Partkdolg-duty, that is to say, conscious-labours and intentional sufferings. One summer at Armonk, in an evening discussion, she asked me to say how I understood the idea of conscious labour. I felt it was too easy to say simply, I dont knoweven though this would be the most accurate responseso I offered an answer which came from I know not where. Mrs. Welch did not question my comment. Instead, she went on to ask, What is intentional suffering? Before I could answer, Dr. Welch said, Youd better quit while youre ahead! I did. We began with the realization that the meaning of Gurdjieffs book will not open to conceptual attack, but requires thought and feeling of quite another kind... We discovered that one word would become a thread to the whole teaching as it wove through explanations, parables and humorous anecdotes attaching to itself more and more clusters of meaning. One of us would declare that the clue to the book was the word being; another pursued conscience and a third, Mullah Nassr Eddin, who sometimes appeared to all of us as the key to the character of Beelzebub himself. It was during these times of great intensity of Work that she passed on special material that we needed. She understood that only in these conditions of Work would it be possible for us to take in such material. There is something we need to learn about effort: effort is not strain. Maybe I could realize this if my relaxation were deeper. I wish there were a word other than relaxation. The closest I can come to is letting go of the ego; so that I can touch another layer, a much truer one. Our search is not for miraculous resultsnot to achieve a result, but to learn a process. There is a struggle between my wish to gather my attention and my bodys habit of going on with its associations. I cannot fight directly, but I can draw my attention back to my work. When touching a deeper level, I do not try to do, I watch. There is nothing I can do, I can only try to be. I am here, very quietly alert. I try to follow this. It moves in a very quiet inner way, something is touched. It takes place, it has come. What is this combination of Is which inhabit me? There are many of them. One is a bore, one tries to impress, one has profound opinionsbut underneath, something knows all this is a lie. We have to recognize as a fact that we are put into motion by whatever, or whoever, presses the button. We are continually the prey of influences. This is the human situation. Influences impinge upon me and my organism reacts. My reactions are always passive, but if there is something active in me to meet them, I have a chance. Ordinarily, I am attacked by a thousand Is. When I try even just to pick up this cup with intention, it is almost as if the thousand Is are reduced to twoyes, and no. The effort to undertake something intentionally is an enormous help. Where is my centre of gravity? It shifts, now here, now there, but it is not related to the central fact of my existence. I need to find that relationship. I need to find ways of returning to it so that it circulates to all my functioning parts. What I wish for is my essential rootto be living in myself and related to the whole of me. There is a real difference between knowing and believing. This Work is not based on believing, but on working toward being open to what is higher. The higher possibilities are already in us, waiting, but we have not found the connection. On one occasion Dr. and Mrs. Welch were unable to come to a period of intensive work in Halifax. For years they had been there every summer with their two Canadian groups from Halifax and Toronto, plus several people from their groups in New York. This was the first time they were not able to come. In fact they were never to come to either Toronto or Halifax after this because of the state of Mrs. Welchs health. Several of us were in communication with Dr. Welch by phone during this Work period. Once I told him that we felt they were there with us. On impulse, I then asked facetiously, if he and Mrs. Welch felt that all of us at the Work period in Halifax were with them in their apartment in New York! His serious answer took me by surprise. Yes he said, Much has been deposited in both directions. Over the years since then, many of us have felt that this is truly so, and hence although they are no longer able to advise us directly, what they have deposited in us is still there for us to call upon. Mrs. Welch said that Dr. Welch had a long-lasting love affair with the English language. As he spoke, he seemed to be searching for just the right word, the exactly turned phrase. What he said was often alive, and fresh, and memorable. In contrast, although I might be expressing the same ideas, I usually felt my words were careless cliches, and I aspired to speak as he did. Why is it that when I look at my daily life, I almost never see that it is extraordinary; that I have a life and that I am living in an extraordinary body. Being alive is a miracle, and I am unaware of it most of the time. What in us can continue? There is a direct relationship between care and the attention I give. I see that when I care very much, I gain attention. She sometimes told us what she called secrets, and I remember thinking, Surely, if she tells us, they will no longer be secrets. Later, I saw that what she told us was a secret, and it might take a long time before we understood what she had said. If I could really remember myself, much of me would be affected. Anger would take its proper place. Unknown territory exists in me, it is real. If I try to be open to its influence, the Work works in me. Certainly with my little self I cannot change. I will start each day with preparation, opening myself to help. We cannot complain when we do not receive, because it is we who hinder. Do not try to change. Study. When you work, something drops away of itself. When you see anxiety, acknowledge to yourself in your own way how you are, and try not to run away, but to be in it more. Sense it more, see how you are inside, and try to see the distribution of your tensions. Then make a strong effort of relaxation, and try to come to some affirmation of yourself at the end of this. Better one five-minute effort that is true and intense, and real, than a whole day of porridgy dreaming that you are remembering yourself. Only that which you have earned and verified many, many times, through effort, can be yours. One of the weekends when she was in Toronto after all the scheduled meetings and activities were over, on a Sunday evening, Mrs. Welch invited me to spend some time with her alone. It was a rare privilege. I had been feeling disheartened, and perhaps she had noticed my state. We met just for an hour or so. Our exchange was quite light. We touched on no weighty topics that I can remember. Nevertheless, her words and her attention seemed to embrace, and penetrate, and heal. The next morning she returned to New York, and I went off to my office. After a long and difficult day, I was walking home and noticed that my posture was slumped; there was a frown on my face; my mind was churning over the events of the day; there was no spring in my step. Then quite miraculously, I became aware of a feeling in my chest that did not at all correspond to my outer state. It was something joyful, completely carefree, untouched and unconcerned with the petty cares of my day. The thought flashed through my mind that Mrs. Welch had deposited this something in me the night before. Mr. Gurdjieff brought this knowledge to us in a very direct way. It will take us a long time to assimilate. His rate was so much faster and deeper than ours. But his pupils are gradually understanding more and moretrying to live his teaching. He brought us the need to understand and to search as deeply as we cannever to accept too easily even our own experience, but to try to understand that the way to the source of our own energy, our own truth, is a process. We will change very much in that process, and only by trying to understand it will we begin to return to itto grow and develop in a many-sided way. How to make an effort of attention? For a very long time, all our efforts are full of tension and strain. We need to learn gradually to let go. Trying to divide our attention is an experiment. It is not a state of self-remembering. Self-remembering is a blended attentionthe attention of the real mind, the true feeling, and the cooperation of the instinctive/moving parts. There is a division between what represents I and what represents my organism and functions. In order to study that, we try to divide our attention, but that is just one step. I am searching for something more inclusive, more whole. If I am in touch with my essential passion for truth, this helps me to call upon that effort of attention which includes thought, feeling and sensation. When for a moment that fusion takes place, I experience myself as a whole. Begin to feel the relation between inner and outer life. It is necessary to see the reality of the inner life and have contact with it, but we must be present to both inner and outer. In one state, we lie and are not aware of it. In another state, we lie and know it, but cannot stop. In still another state we struggle with the impulse. See how in all these states the disposition of the parts is different in us. When one is aware, one notices much sooner. It is interesting that on a higher level the quickness is such that one notices before there is any manifestation of action, thought, or emotion. A strong state of attention is joy. One feels wholly engaged, and that is what the human heart desperately wishes. We live within a very small emotional range. We think we are experiencing a strong emotion when we become angry, but there is a whole range of emotions that we never touch. We read of compassion, faith, hope, but these are just words to us. We dont live on that level. All of our experiments are for the purpose of making valid contacts with the higher centres, not something we experience now and then, or read about in books, but something permanent that is our own. Less than a decade ago, we bought a country place just outside of Toronto so that we could have a place for our summer work periods. The Welches at this time were no longer coming to visit their Canadian groups. On the first day of our first period, both Dr. and Mrs. Welch asked, Why are you doing this? My automatic answer was that we valued these periods of intensive work. I telephoned them every day to tell them what was taking place, and to get their advice. They continued to ask me why we were having an intensive work period in Toronto. Gradually, it began to occur to me that we had no idea what we were doing. There was no doubt that Dr. and Mrs. Welch could conduct a work period, but who were we to attempt such an undertaking? This question worked on me, mercilessly. Gradually it became painfully clear that I did not understand any of the knowledge I had accumulated over the years. I understood nothing! It was a devastating realization. I began to feel the weight of responsibility and to approach a state of despair. I felt very deeplyas never before or sincethat I needed help. Then in the midst of this state, I felt that help camenot just to me, but to all of us. I felt real gratitude to Dr. and Mrs. Welch for guiding us, and goading us, and putting our feet to the fire. The more I see my helplessness, the more I feel the need to be in touch with the source of energy. I begin, thinking I can do the Work. It takes time to see my helplessness. A real cry for help does not fail, but it has to be real at the moment, not in retrospect. The times when we do receive something must not be underestimated. They are real. When we reach a state of deep quiet, when we touch another level of energy, it is very difficult, impossible, to move into our daily activities with that full circulation of energy. Yet it is possible to have some link with that state. Somewhere I know that if I can be open enough, another force of a higher vibration rate can begin to enter that changes everythingmy understanding of my presence here, my relationship to others and to the different parts of myself. How can I help to make myself more available for this energy, more open to this energy? It does not depend solely on my wish. It is not so much that I bring an influence, but that an influence comes. Early in my life I met Mrs. Welch, and that has made all the difference. We have been so lucky, so fortunate to have been part of her circle. She inspired us; she called forth talents we didnt know we had; she dared to trust us with precious burdens that buckled our knees, bent our backs, and strengthened us. Big projects such as the Guide and Index, A Journal of Our Time, The Juggler of Notre Dame in Toronto, The Clown of God in Halifax, called us to super-efforts. It wasnt just the daring ideas she had. It was not even the wisdom of her words when she responded to our questions. It was her being that shone through and fed us directly. It sparkled in her eyes, it emanated from her posture, her movements, her voice, and it fed us directlywithout our even knowing it at the time. At the same time I know that she has deposited in me something of her own being which is not inert. It is alive and essential. She is our essence friend. 1 The Juggler of Notre Dame is a 13th Century French legend about a young jugglers search for a special Christmas gift for the Christ Child and Madonna and the miracle that occurs when he offers his talent on Christmas Eve. 2 The Clown of God is the oldest known title for the legend of The Juggler of Notre Dame. Welch, Louise (19051999). Orage with Gurdjieff in America. Boston/London: Routledge & Kegan Paul, 1982, 143p., Notes, ISBN 0-7100-9016-1 (pb). Welch, William J. (19111997). What Happened in Between: A Doctors Story. New York: Braziller, 1972, 208p., ISBN 8076-0660-X (hc). Traditional Studies Press. Guide and Index to G. I. Gurdjieffs All and Everything: Beelzebubs Tales to His Grandson. Toronto: 1971, 673p. ; 1973, 680p. Most of the material quoted in this essay is drawn from the unpublished compilation, Meetings with Mrs. Welch in Toronto, 1955 to 1964 and 1973 to 1987, December 2000, compiled by Mrs. Margot Dustan, a founding member of the Toronto Group. With one exception, all other quotations came from video tapes of meetings or from memory. The exception is the passage from Guide and Index to G. I. Gurdjieffs All and Everything, Traditional Studies Press, Toronto, 1971. The two individual photos of Louise Welch are by Martha Henrickson. 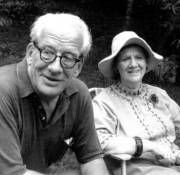 For additional material, see William and Louise Welch Bio-sketches by Patty Welch Llosa and For Dr. William J. Welch a eulogy by Roger Lipsey, both in the Gurdjieff International Review, Vol. III (2).